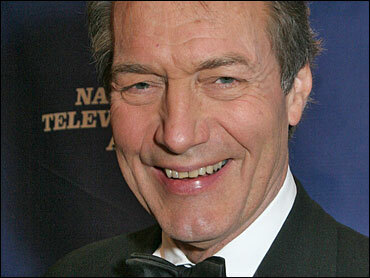 Talk show host Charlie Rose underwent heart surgery Wednesday in Paris to replace a valve, a spokesman said. He was in intensive care. Rose, anchor and executive editor of PBS's "The Charlie Rose Show," had mitral valve surgery at the Georges Pompidou European Hospital, spokesman Howard Rubenstein said in a faxed statement. Rose, 64, experienced shortness of breath last week while in Syria to interview President Bashar Assad and went to Paris for treatment, according to Rubenstein. The mitral valve connects the upper left chamber with the heart's main pumping chamber. If it leaks or narrows, surgery may be need to repair or replace the valve. Rubenstein said he talked with Rose on Tuesday, and that he had "sounded real good." He is expected to recuperate in Paris before returning to New York. His doctors expect him to be back at work by the end of April. In the meantime, his program will be hosted by journalists and foreign policy experts chosen by his staff. "The Charlie Rose Show" airs on more than 200 PBS affiliates around the United States.